1lb. rissole steak, 1 cup diced celery, 1 chopped onion, 1 dessertspoon curry powder. Heat a dessertspoon of oil and fry onion. Add curry powder, salt and pepper. Add steak and brown a little. Add 8 oz. tin tomato soup, celery and flavourings. Cook 1 cup spaghetti and add. Serve sprinkled with grated cheese. 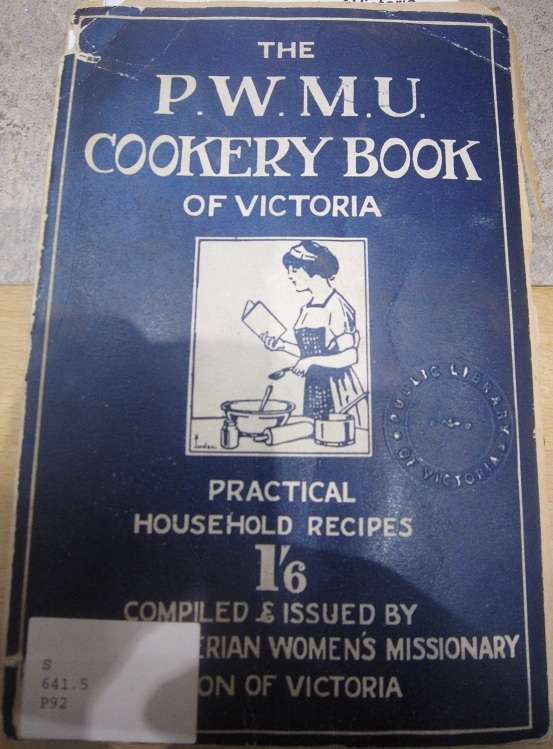 Jenkins, Gwen, Hanna, Betty, McMillan, Muriel and Presbyterian Women’s Missionary Union of Victoria P.W.M.U. cookery book (Rev., enl., redesigned and completely reset ed). Melbourne: Cheshire, 1961.